Apartment is on the second floor of a 4-story building, located in San Sebastian, up on a hill of Los Cerezos (calle el Saar y Chaguarquero) which is a quiet dead-end street. 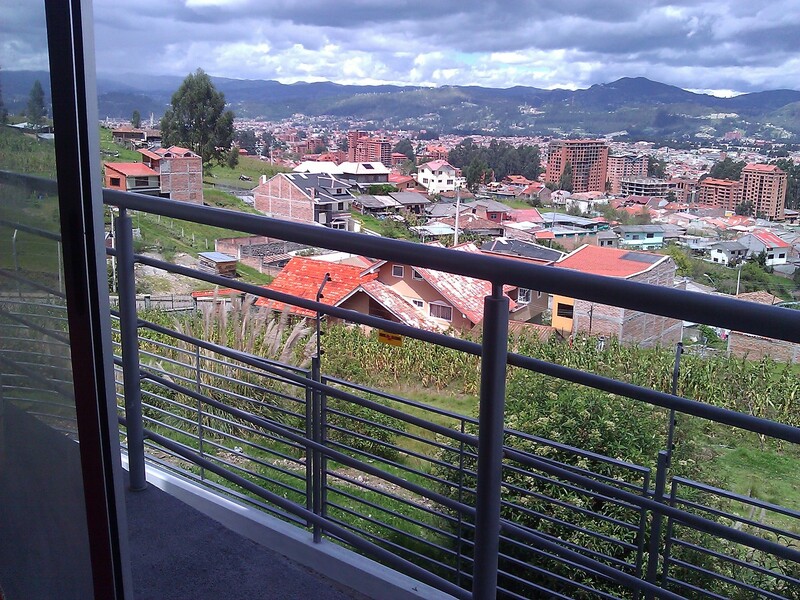 The apartment has a small balcony to enjoy the spectacular views of the city and it comes fully furnished which includes: furniture, Internet access, telephone connection, refrigerator, stove with oven, microwave oven, kitchen utensils, washer and dryer. All appliances are high quality. It also has flat screen TVs in the living room and master bedroom. It has intercom, security alarm, storage room and a parking space for one car inside the security gate. 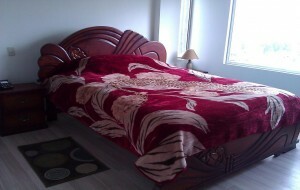 The master bedroom has a queen size bed, large closet, a large window and a bathroom with bathtub. The second bedroom has a closet and two double beds. There is also a bathroom with a shower near the living room. The apartment is on the second floor but level with its parking space. The breathtaking view is behind the building. 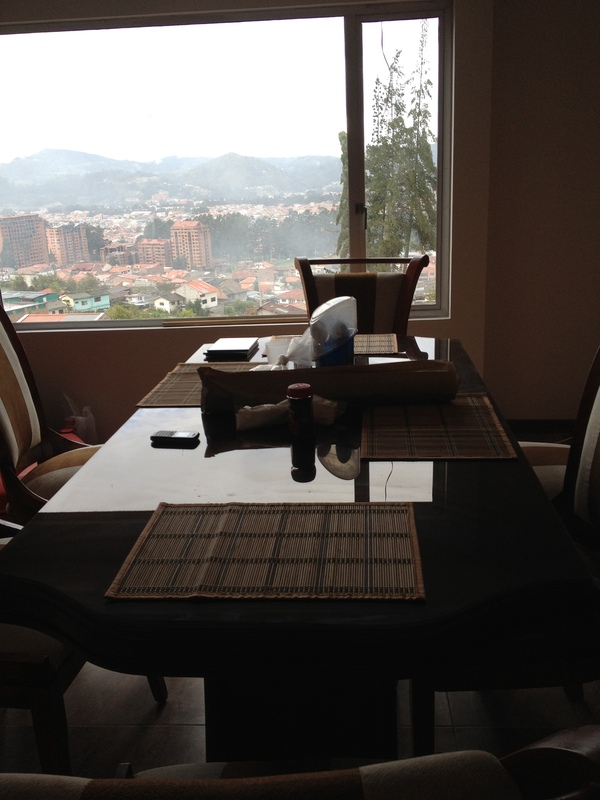 You can appreciate the view of city from the master bedroom, living room and dinning room areas. 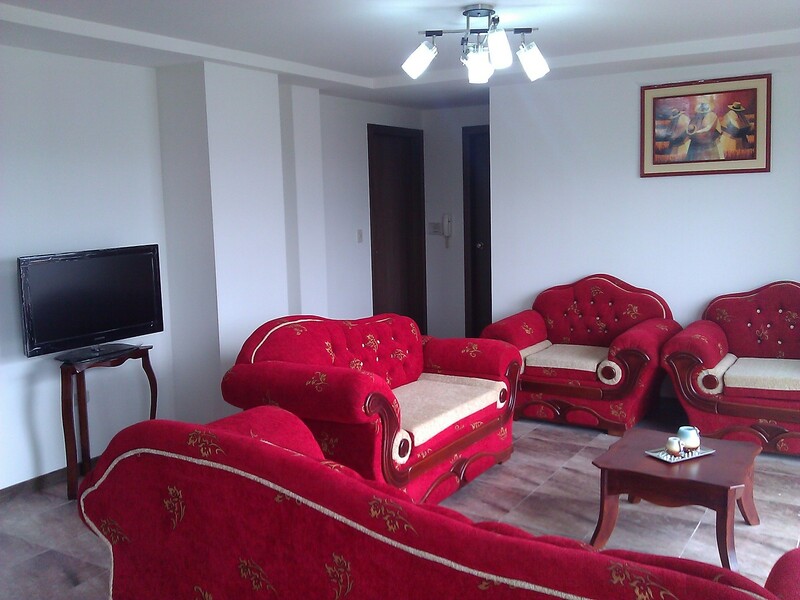 The apartment is suitable for 2-4 people to live comfortably. The rent includes utilities, except gas. 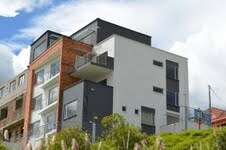 A 1-month security deposit is required for a lease of 3 months. 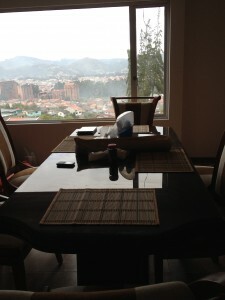 The apartment is close to shopping, restaurants and is within 25 minutes walking distance of Cuenca’s historic district. 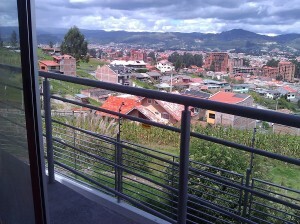 Downtown Cuenca is just a 6-minute drive. Pets are not allowed. The bus stop is on Camino del Tejar Street. It also takes about 10 minutes by bus to downtown. Some of the places close to the apartment are the Coliseo Jefferson Perez, El Arenal Market and the big Supermaxi on Camino del Tejar Street and Las Americas Ave. Please feel free to contact Janette Enriquez at cells: 995806459/995806865; home: 7-2875-687. From overseas dial: 011-593-72875-687 or 011-593 + Cell phone numbers. Janette only speaks Spanish. For assistance in English contact Pete: Pushups12@hotmail.com.